While Cuisinart is well known and justifiably respected as a home appliance authority, sometimes things go wrong and appliances shut down or fail to work. If coffee is a critical part of your day, having this particular appliance conk out, you need to address it and fast! 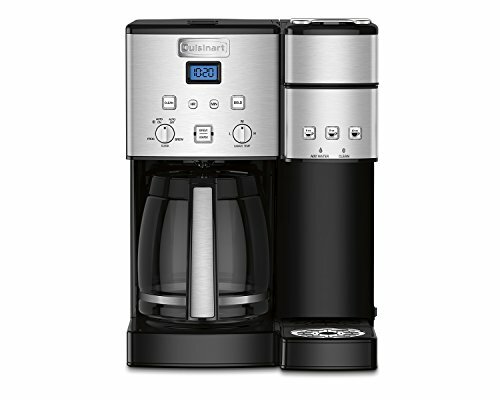 In our Cuisinart coffee maker troubleshooting guide we will cover some basics to help you brew another cup and solve your Cuisinart coffee maker problems. If your Cuisinart coffee maker is behaving oddly or not working at all, refer to the manual first. Your Cuisinart coffee maker instructions are an excellent source of information if you're having trouble with the machine. For example, if you have the sneak-a-cup option, experts with JavaJenius warn that any misalignment can cause the coffee to linger in the filter basket rather than dripping down into the pot. While some pots have a lighted display, others only light up when switched on. Check to make sure the outlet you're trying to use is functioning properly by plugging in something else (a lamp or radio, for example) to be certain the outlet is working properly. If you find a problem with your Cuisinart power cord, get the appliance to a qualified repair technician or return your c﻿﻿off﻿﻿ee maker for a professional repair.​ However, it might be cheaper to purchase a new unit. We've all tried to make coffee without water; these things happen early in the morning. However, if there's water in your pot and it's not moving to the filter or you notice connections leaking, you may need to clean and de-scale your Cuisinart. Again, careful review of your manual is critical when working with any new appliance. 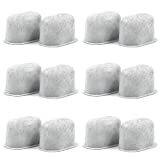 If your filter basket overflows on a consistent basis, rather than getting out your tool kit for some Cuisinart coffee maker troubleshooting, make certain you are not overloading the filter basket. If your water boils off to steam rather than dripping through the filter, your machine is probably loaded with calcium and needs cleaned with vinegar. If you find the water does not heat or won't flow through to the filter, double check your power connections and make sure the filter and pot are properly aligned. If you notice a big change in flavor, several things may be affecting your coffee. If you just cleaned the machine, run hot water through it several times to rinse away all traces of vinegar. If your pot contains a water filter pod and that stayed in during the cleaning, you may need to toss it and put in a different filter pod. Changing the grind or roasting intensity of your coffee can have a huge impact on flavor. Make certain you're using filtered water for every pot to get a consistent brew. The coffee maker is not under warranty. The coffee maker is unplugged. The pot is unusable as it is. These are highly durable and well-built machines; if something fails inside them, it will likely take a professional to do a quality repair. It's easy to get excited about making your own repairs, but if you don't know what you're doing you may end up with a permanently damaged machine or some extra Cuisinart coffee maker parts when you thing you're done. Before giving up on your Cuisinart coffee maker, be certain that the machine has power, water, and that the baskets and carafe are properly aligned for brewing before you attempt any repairs. Make sure your Cuisinart is properly cleaned and de-scaled once a month for consistent brewing. Your suggestions do not address my problem. My DCC 1200 coffee maker doesn’t heat up and brew. The light on the panel comes on but the,water doesn’t boil and the carafe heating plate doesn’t get warm. Do you hear any indication that the unit is trying to brew other than the light? How long have you had the unit? It could be that a tube is blocked by mineral buildup. Have you tried descaling the machine even if it work brew? It might be a bit awkward to remove the liquid after, but it might help loosen any blockage to the point where it starts brewing. Once it starts brewing (even if cold), I would follow the manuals descaling instructions a few times before putting it back in operation. I’m not sure if there is a connection to the lack of brewing and the heating of the carafe, perhaps there is a fail-safe to prevent it from doing so unless brewing is taking place. I’ve also found that turning coffee makers upside down to give them a gentle shake and spank on the bottom sometimes gets things moving again. Let us know if you get it sorted, it definitely could help others facing a similar issue. My clock display comes on, so it has power, but when I press the brew button nothing happens. I’m not sure if this is a new machine or not. I would recommend unplugging the unit, disassembling, and following the manual step by step to setting it back up. Sometimes if one thing is out of place, it can prevent brewing. If you are new to your brewer, it might simply be a matter of waiting for the unit to heat up and do its thing after you’ve pressed the button. Since you’ve already been diligent on descaling, the only thing that I can think of is to unplug the machine for a couple of hours, disassemble, and then put it back together and try again. As per their manual about the flashing lights, it says to descale twice and if you are still having problems to “contact Consumer Service at 1-800-726-0190”. I have three Cuisinart coffee pots and have the same problem with all three: they all leak water or coffee when I am trying to pour from the pot. The leaking liquid comes from the area where the black plastic attaches to the glass pot. Is there something I can do to take care of this problem? I have tried pouring more slowly but that doesn’t seem to help. This seems to be a common issue with the carafes. I’ve seen some people try to use bees wax to seal the gap between the plastic and the glass, as seen here, but it’s a very temporary solution. Unfortunately, there’s not much you can do aside from purchasing a different carafe. My Cuisinart K-Cup Brewer does not remain OFF no matter how many times I flip the switch. Any suggestions?